This recipe is deliciously rich and hits just the right note of salty-sweet. I based it off of a recipe from The Newlywed Chefs, modifying slightly for ingredients I had on hand. 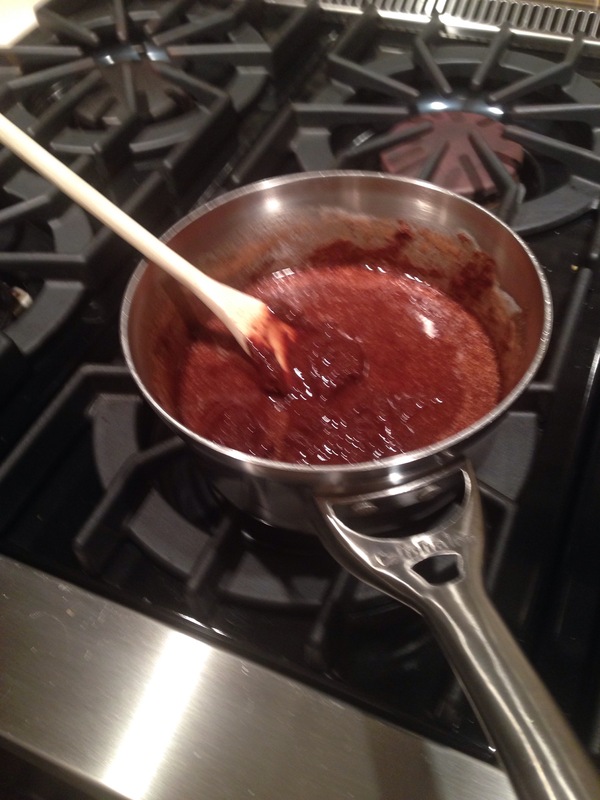 I melted chocolate chips and baking chocolate with butter and then add to a mixture of eggs, sugar and vanilla. 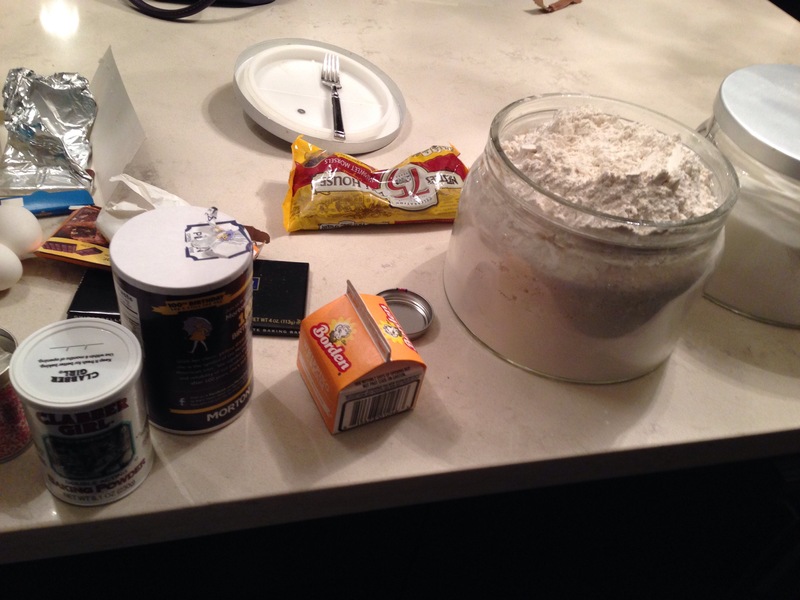 Then, I mixed together flour, baking powder, and salt, and slowly added the dry ingredients to the chocolate mixture. The brownies then baked for 25 minutes at 350 degrees in a parchment lined pan. 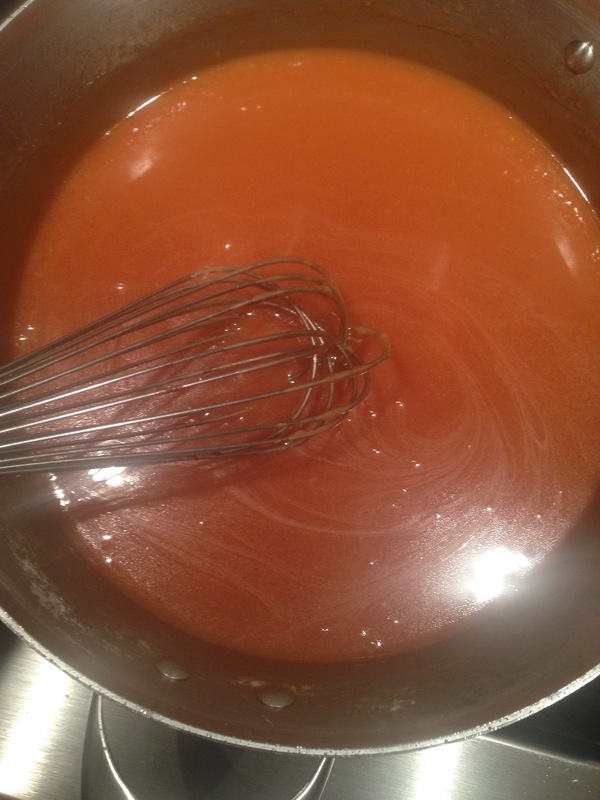 Now, the fun part- the caramel! 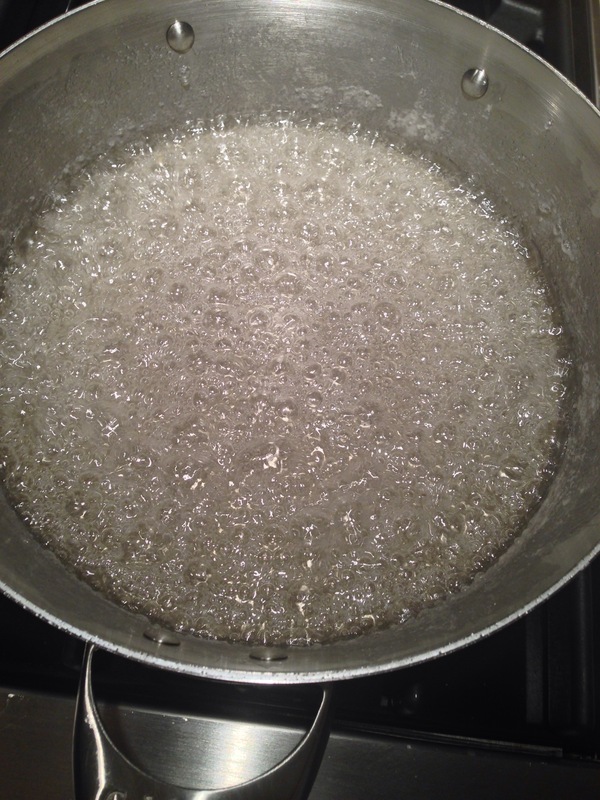 Water and sugar boiled together until a deep amber color appeared. Then, heavy cream, butter, and Fleur de sel were quickly whisked in. 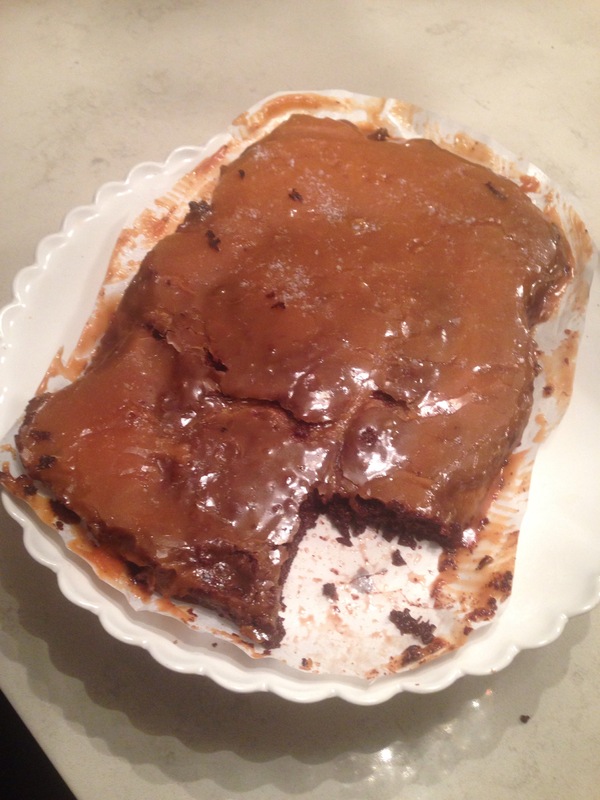 Finally, I spread the caramel over the brownies and chilled them for an hour. The final product is super gooey and rich. I can only eat a tiny bit at a time, but it’s truly delicious. I’m a sucker for salted caramel, so this was a super fun day for me! Next Next post: Day 7: Vegan Tomato Soup!